Sports Lighting (Jumping Jack Flash) is and has always has been a family run business. 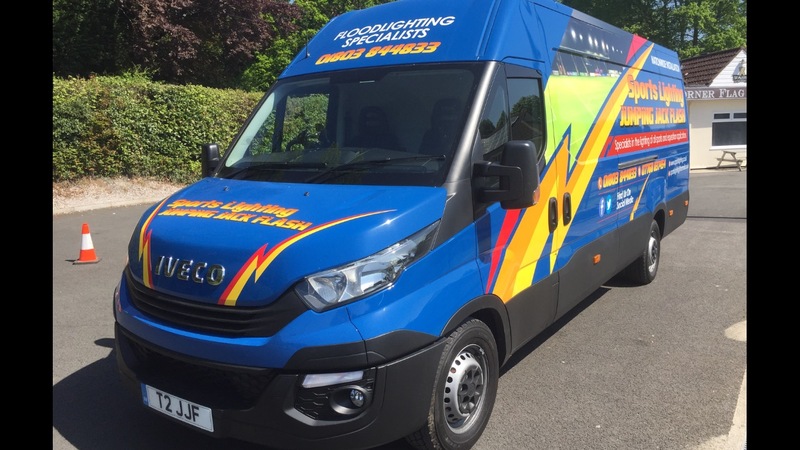 We have now been trading for approximately 30 years, and are specialists in all sports lighting covering football pitches, tennis courts, M.U.G.A’s, and playgrounds. The equestrian lighting covers indoor and outdoor arenas and lung rings. All the above will be lit to a certain lux level requirement. We offer a nationwide installation service covering from John o ‘Groats to Land’s end. All our work is to a very high standard, and is covered by a 12 months parts and labour guarantee. All the work is done by Sports Lighting (Jumping Jack Flash) staff. Switching is always a problem. Let Sports Lighting advise you off all the options available. Cost cutting measures, with photo cells and digital timers. All our installations are easy to maintain. Most lighting schemes, we make on site surveys and advice and once all the information is collated, we do a spillage and lux level charts for the purpose of planning applications. A lot of our work is getting involved with architect’s to help with all the technical details. We feel that the service and quote you receive from us will be unbeatable. All our fittings are asymmetric which cut-out any possibility of light pollution and light spillage. We do many refits for changing existing symmetrical fittings, which are in use at many astro-pitches and multi-use-games-areas, to asymmetric fittings to come up to standard with light pollution and spillage levels.